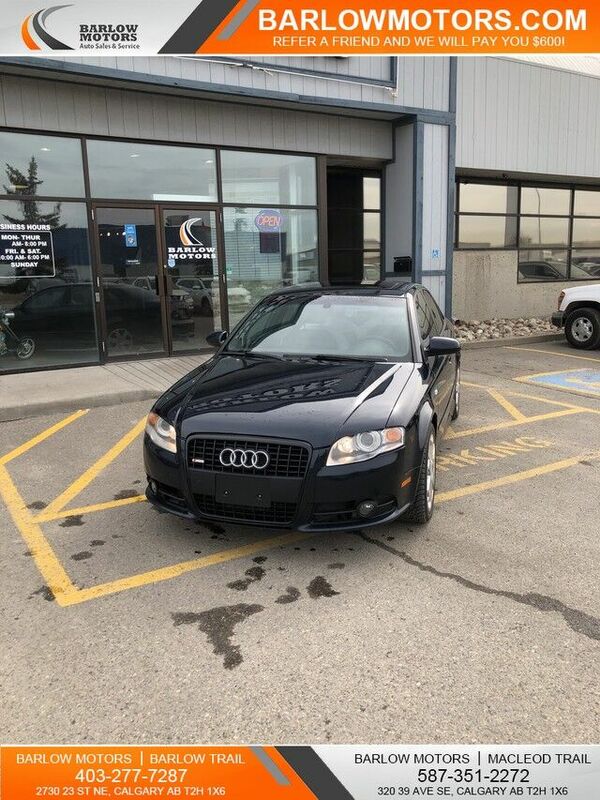 Barlow Motors is pleased to be currently offering this 2007 Audi A4 2.0T with 218,000km. Put performance, safety, beauty, sophistication and all the right amenities into a car, and here it is! Now you can own luxury without the luxury price tag! Enjoy the grip and control of AWD performance in this nicely equipped Audi A4. Just what you've been looking for. With quality in mind, this vehicle is the perfect addition to take home. This is the one. Just what you've been looking for. Come see Barlow Motors' quality used cars, trucks, SUVS, vans, luxury vehicles and more. Apply today, drive today. Financing available on all pre-owned vehicles!